« You Need to be True to Who? Who am I referring to? Let me introduce Darlene Craviotto to you. I’ve reviewed her book, “An Agoraphobic’s Guide to Hollywood – How Michael Jackson Got Me Out of the House” a while ago, and raved about how well written it is. I did know that Darlene had written screenplays as well, but after seeing her résumé, my mouth dropped open. We are going to have some fun. I’m listing Darlene’s bio and professional resume for you to view. She has also offered copies of her book, “An Agoraphobic’s Guide to Hollywood – How Michael Jackson Got Me Out of the House”, to 5 awesome winners. The grand prize receives not only a copy of her book, but can ask any questions concerning screenplay writing etc. If you have dreamed of your story on the big screen, this is your chance to get the inside scoop from someone who worked in Hollywood! To enter the drawing, please subscribe to my blog if you aren’t already, and leave a comment that you would like to enter the drawing. It’s that easy. In a few more days, I will post an interview with her as well. Before you read her information, I’ll just say she acted in a movie with Helen Hunt. Darlene Craviotto started her Hollywood career as a tour guide at Universal Studios while performing in a local repertory theatre at nights. Her first break was being cast as the romantic lead opposite Don Knotts in the world premiere of the play, A Good Look at Boney Kearn. As a result of her performance, she was cast in her first feature film, co-starring with Kathleen Quinlan, and Bibi Andersson in the critically acclaimed I Never Promised You a Rose Garden. Soon after completing the film, a car accident prematurely halted her film-acting career, and Ms. Craviotto turned to screenwriting. She was first hired as the executive story editor for the David Jacob’s (Dallas) CBS series Married: The First Year. Turning next to long form projects, Ms. Craviotto wrote the NBC television film, Angel Dusted where she once again acted, this time co-starring with Jean Stapleton, and Helen Hunt. She also co-wrote Sentimental Journey, the CBS television film. Next followed Love Is Never Silent for the Hallmark Hall of Fame on NBC, which won numerous awards including an Emmy for Outstanding Drama Special, and also garnered Craviotto an Emmy nomination for outstanding writing. Other awards for the movie included the Amade Unesco Award, and the Christopher Award for best television film writing, as well as Humanitas and WGA nominations for outstanding writing. 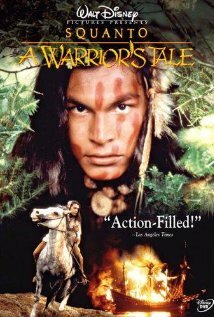 Ms. Craviotto’s first feature film, Squanto: A Warrior’s Tale, was released by the Walt Disney Studios and won a Movieguide Teddy Award when it was selected as one of the “Ten Best Family Films” of the year. For the stage, Craviotto wrote, Pizza Man, which won both the L.A. Dramatist Award and Dramalogue Award as best new play of the season. Published by Samuel French, Pizza Man has been translated into eight languages, and has been produced all over the world. Returning to UCSB in 2005 to finish a B.A. in Feminist Studies, Ms. Craviotto received an URCA (Undergraduate Research & Creative Arts) grant for her senior thesis research on Philadelphia’s Central High School’s 1983 gender integration. The 50-minute film that resulted from that research is No Girls Allowed and it is Ms. Craviotto’s first directing venture. Ms. Craviotto’s “The PediatricianVisit,” was anthologized in the A Cup of Comfort series (A Cup of Comfort for Mothers & Sons) in 2004. Her narrative non-fiction An Agoraphobic’s Guide to Hollywood – How Michael Jackson Got Me Out of the House was published by Front Door Books in 2011. I am a recovering agoraphobic, too, to I know what a fantastic feat this journey was for Darlene. We’ve exchanged several tweets and emails and I have to tell you that I really admire her. The book is not only a very true-to-life depiction of the tortures and sometimes silly (yes, we can laugh at ourselves) things we do to achieve a goal. She really is a remarkable woman and I’m proud to call her ‘friend’. I already read the book so I don’t need to be entered in the give-away, but I think everyone should read it. Thank you for giving Darlene this public boost. I’m sure she’s thrilled. Thanks Deana for sharing your own struggle, and the kind words for Darlene. Have a great day! She is truly an inspiration. Thanks for stopping by! 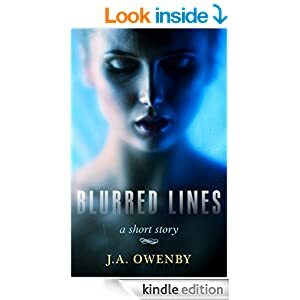 Hi Jen….a friend here brought to my attention that the link I provided for you of my blog site didn’t come through right….here is the correct link and the first blog you should see is the story of how my book came about. What an amazing list of credentials. Inspiring. I’d love to win Darlene’s book so please enter me. Thanks! I love Darlene’s blog!! and I would love to win her book…thanks Jen for making it possible!! I am a new author and my book will be released soon…. “Climbing Out of the Box” My journey out of sexual and spiritual abuse into freedom and healing…. When will your book be released? Is there any info or a blurb I can read? Hi again! Yes, on my blog you can read how the book came to be written and what a faith journey it has been….it should be released in November or early December. The blog address is : http://reflectionofgracehome.wordpress.com Also here is a blurb that is on the back cover of the book: Climbing Out of the Box is a totally honest, deeply-felt memoir written by a courageous woman who has not only survived, but triumphed over, childhood sexual abuse, a dysfunctional family, loss of identity, rejection, self-denial, divorce, and spiritual abuse. Now a successful Certified Life Coach, author, and speaker, Dixie Diamanti has so much to teach us about childhood and adult struggles – physical, emotional, psychological, spiritual — and the often-precarious journey from unsatisfying religious practices to a true and enriching relationship with Jesus. 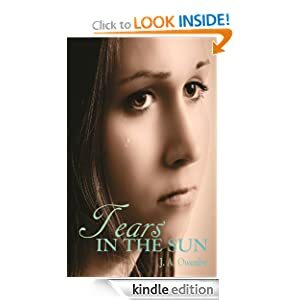 You will laugh, wince, cry, and be inspired as you walk with Dixie on her path from darkness to light, from captive to free and fulfilled child of God. A compelling story all spiritual seekers should read! I just subscribed to your blog, and thanks for the info. Hi. I just subscribed to your blog. I’m so happy I found you! I want to sign up for the drawing, although I’ll be reading Darlene’s book whether I win it or not. I write a memoir blog and part of my journey was out of agoraphobia. I wish I would have had Michael Jackson lead me out of that one! I have had so many people tell me my story should be on Lifetime. 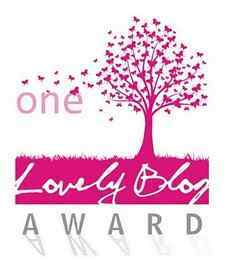 I would love to read more about Darlene and I am excited to be part of your blog as well. Thank you! Linda- Wow! Thanks for sharing, and I’m so glad it was something you connected with. I’ll enter you into the drawing, and I look forward to getting to know you! Thanks Jen, the feeling is mutual. I posted your blog on my FB page. I commented on her lovely blog as well re: humor and adversity and she was so kind to get right back to me. It seems that humor is a cornerstone to her overcoming obstacles; something she and I both agree on. She is a wonderful person and I would love to read her book. I’m a new subscriber who came to your blog through my friend, Darlene Craviotta…and I join her many friends who are so very proud of her – not only for her many professional accomplishments but especially for the deeply personal journey chronicled in her new book. Thank you for shining such a bright spotlight on an amazing woman…and please enter me in the drawing! Thank you for visiting and subscribing! You are blessed to have such an amazing and courageous friend in your life! She is my real life hero. I’ll enter you into the drawing. Have a great day! How exciting! Enter me in the drawing as well. Thanks for stopping by and sharing! I’ll enter you into the drawing. Happy Friday! whoa! this list is awesome. Jen, i subscribed to your blog and please do enter me in the draw. Will catch up with you soon. Thanks for subscribing and sharing! I’ll enter you into the drawing. Have a great day. 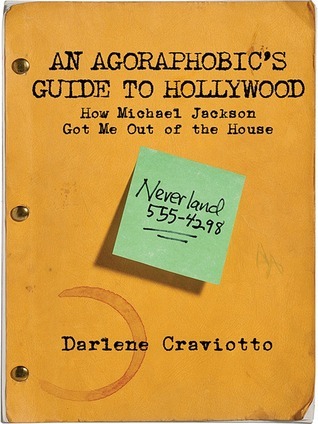 I am new to Darlene’s work and would love to be entered in the draw for her book, “An Agoraphobic’s Guide to Hollywood – How Michael Jackson Got Me Out of the House”, Thank you. Hi! I would love to enter the drawing for Darlene’s book. I am also happy to now be following your blog. Thanks so much! Interesting to meet the screenwriter of Squanto…This was a film I fell upon, I’m not sure how/when. However, I showed it to my classes and they enjoyed it and I paired it with other works of literature. Love to read the book; love to enter/win the giveawaydrawing. Will be interested to read what Darlene is working on next…and interested to ask about the necessity of going to LA if/when you want producers to look at your screenplays. Better to be out there or work through an agent? I’ll have the interview posted in a few days, and she goes more into depth about what she is currently working on. Thanks for sharing, and I’ll enter you into the drawing. Have a great night. You’re awesome! You got it Pat! Yes, it is. Thanks for sharing and subscribing. I’ll enter you into the drawing! Have a fantastic evening. WOW!!!! She’s amazing! What an awesome bio! She sounds like someone I’d love to sit down with and just listen to her talk. I’ve seen a number of those films, including the one she acted in with Helen Hunt. Put me down for her giveaway too, please!!! Yeah I know what you mean. Darlene and I connected on Linked In as a fluke and now it is amazing to learn of all of her accomplishments. You crack me up, Jen. You are hilarious. I would love to have some fun and what a woman. Someone commented that she is so humble. In my experience in theater, it is the most talented that are the most down to earth. Darlene fits this formula perfectly. Please enter me into the contest! Glad I could help you exercise your liver with some laughter 🙂 I’ll count you in, and thanks for stopping by! It would be great to have a conversation with her about play/script writing as that is what I’m studying right now. It really is a whole other ball of sticky wax! Hi Jen, Impressive resume! Please enter me in the draw. And…she’s a really nice person! Yeah I did a background check on Darlene when I first started following her, and I was ‘WOAH, Hold the phone!’ after going through her IMDB page… I immediately felt great just to be associated with her in an online sense. On a side note Jen, I also had similar experience when I met Vanessa Haywood just before trekking through the Fish River Canyon – (she played Wikus’s wife in the film District 9)… at the time I kept thinking to myself “I know this woman, but how? From where?” – I only clicked a week later. She was so humble though. You got it, have a fantastic day! I’m not a screen writer but would love to get my story out there…I don’t know if I’m qualified to enter. Darlene truly is awesome not only as a writer and playwright and screen writer but also as a person. I’ve had the pleasure of knowing her as a softball mom for 20 something years. I’m sure anyone reading this would enjoy meeting her and talking about her book, which by the way is wonderful! I think in the formatting of my resume in your post “Disney/Steven Spielberg” is listed under the teleplay I wrote for the Hallmark Special, Love Is Never Silent. That film won an Emmy but it was produced by Marian Rees Associates for NBC. The two projects I wrote for Disney/Amblin Entertainment (Steven Spielberg’s company) were “Man In The Box” and “Peter Pan.” The last project was for Michael Jackson, and is at the center of my memoir, An Agoraphobic’s Guide to Hollywood: How Michael jackson Got Me Out of the House. Oh dear, I”m on it. Well, if you’re interested you could win an opportunity to ask her all about it. She is awesome! I would love to enter the drawing. Thanks Shirley for visiting, and I’ll enter you into the drawing! I would like to enter the drawing. Excellent! Thanks for stopping by. Ok, now I’m blushing…Thanks, Jen. So true! I follow Darlene’s blog, and I had no idea that she had accomplished all this. Hey, I even commented on her blog as an equal. 6 Degrees of Separation!